Proving and promoting spay and neuter as a way to end shelter overcrowding and senseless euthanasia. A high volume, low-cost Spay/Neuter Clinic with a transport program running to other counties surrounding Sarasota. Offering low-cost vaccines, microchips, and prevention alongside surgeries or at monthly vaccines clinics. 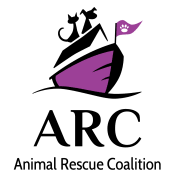 Would you recommend ANIMAL RESCUE COALITION INC?